Hey ya'll! 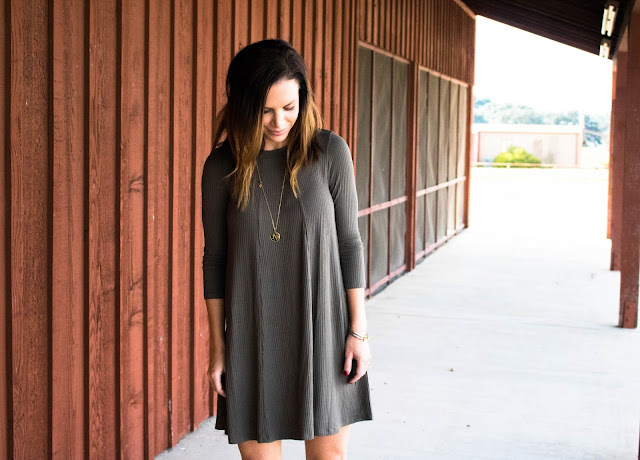 So I have fallen in love with this dress over and over again (and it comes in 6 colors). I've always loved shift dresses but find that with my long torso, they always end up looking too short on me. This one is so perfect and I love the cut out in the back. Once it cools off more in Texas, I think it would look so cute with either a long cardigan, Moto jacket or blanket scarf! I guess I'm saying...get ready to see me wearing it a TON! haha! I ordered THESE Ugg boots from the NSale and I'm so happy I did! They are the most comfortable boots I've ever walked in! They are also water resistant (which I love) and have shearling along the toes to keep them nice and cozy! They come in several colors too. Did anyone else pick these up during the Nordstrom Sale?? Well I hope you guys have a great rest of your week! We are halfway to the weekend! YAY! What are your plans for the weekend? That dress is so cute and in such a versatile color?! Love it! This dress looks so comfy and cute!! Love the boots!! Thank you Kelsey! You will love it if you decide to pick it up! This outfit is so cute and perfect for fall. I'm loving those boots! I absolutely love this outfit! 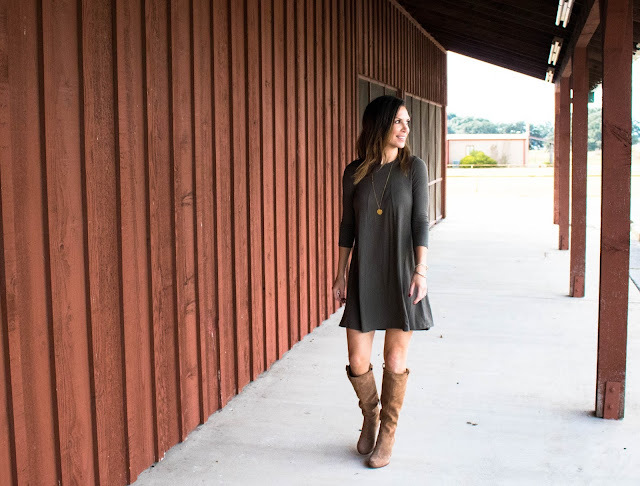 This dress is everything and those boots, my goodness! Absolutely LOVE this little dress! Its so chic and classic, a MUST HAVE! Seriously the perfect dress! I love the way you styled it with the boots! I llove ths sweater dress so much! I want it for fall! Love that dress and I wish I would have got those boots during the N Sale! I would seriously wear that EVERYDAY. 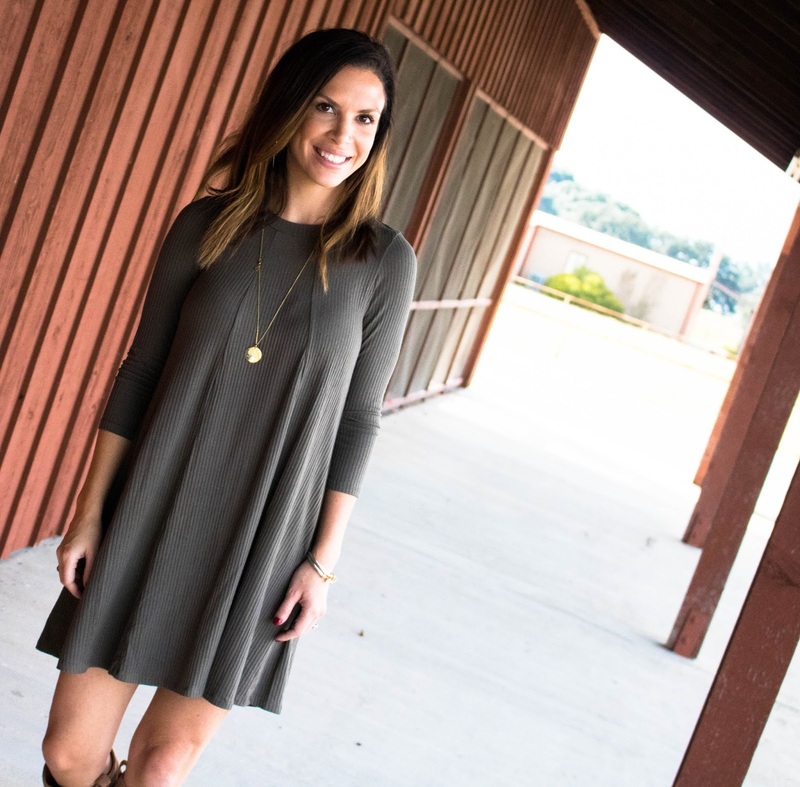 such a cute casual dress for Fall, definitely a must have! 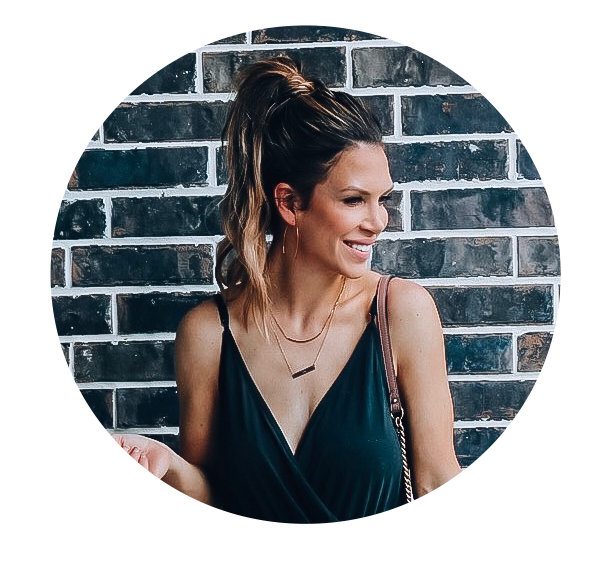 I'm in love with this dress and how you styled it to perfection So simple, effortless, and super chic!